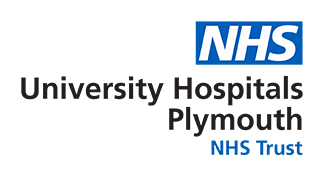 The Committee oversees the management, investment and disbursement of funds held within the Plymouth Hospitals General Charity. It considers applications to the General Fund and ensures that the Fund complies with regulations set down by the Charity Commission. It's chaired by a Non-Executive Director. A representative of the League of Friends has a standing invitation to attend Committee meetings. The Committee reports to the Corporate Trustee, who sets the strategy for charitable funds. The Corporate Trustee comprises the voting Directors of the Trust Board. The Committee publishes an annual review of its activities. For our Annual Review 2017/18, please click here and our Annual Accounts 2017/18 can be found here. The Charity's annual accounts are submitted to the Charity Commission. To review our current and past financial statements please go to www.charitycommission.gov.uk/find-charities/ and enter our charity number, 1048679, in the search box. You can then choose from a range of options on the left hand side of the page what information you would like to view. Terms of Reference and meeting minutes are available from Gill Hunt on 01752 439060.